The intended audience for the activity is medical oncologists, pulmonologists, and other health care professionals involved in the treatment of patients with non-small-cell lung cancer (NSCLC). Roy S. Herbst, MD, PhD, is the Ensign Professor of Medicine, Professor of Pharmacology, Chief of Medical Oncology, Director of the Thoracic Oncology Research Program, and Associate Director for Translational Research at the Yale Cancer Center (YCC) and Yale School of Medicine in New Haven, CT.Dr. Herbst earned a BS and MS degree from Yale University. He earned his MD at Cornell University Medical College and his PhD in molecular cell biology at The Rockefeller University in New York City, NY. His postgraduate training included an internship and residency in medicine at Brigham and Women's Hospital in Boston, MA. 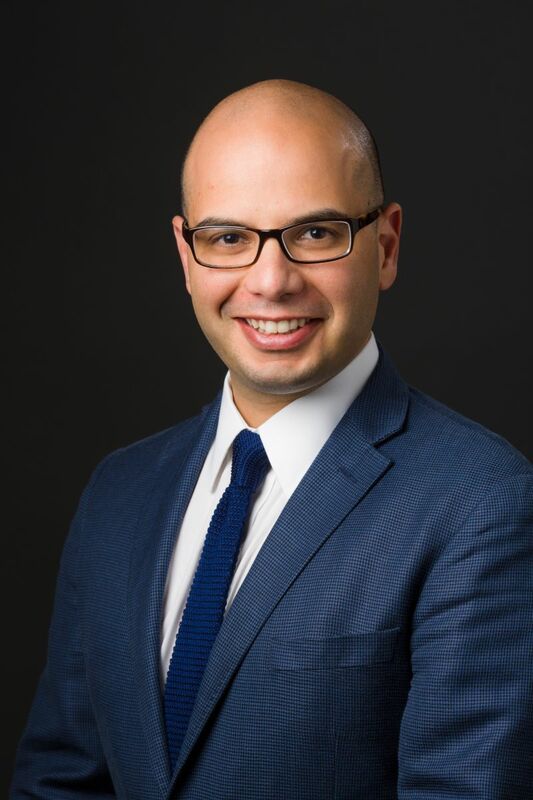 His clinical fellowships in medicine and hematology were completed at the Dana-Farber Cancer Institute and Brigham and Women's Hospital, respectively. Subsequently, Dr. Herbst completed a MS degree in clinical translational research at Harvard University in Cambridge, MA. Dr. Herbst has led the Phase I development of several of the new generation of targeted agents for non-small cell lung cancer (NSCLC), including gefitinib, erlotinib, cetuximab, and bevacizumab. More recently, he participated in the successful registration of pembrolizumab for the treatment of advanced NSCLC, following the successful Yale-led KEYNOTE 10 study of the immune-therapy drug commonly used to treat other cancers. Dr. Herbst's laboratory work is focused on immunotherapy angiogenesis, dual epidermal growth factor receptor (EGFR)/vascular endothelial growth factor receptor (VEGFR) inhibition in NSCLC, and targeting KRAS-activated pathways. Recently, he has explored predictive biomarkers for the use of immunotherapy agents. This work has been translated from the preclinical to clinical setting in multiple Phase II and III studies which he has led. Dr. Herbst is an author or co-author of more than 275 publications, including peer-reviewed journal articles, abstracts, and book chapters. His work has been published in many prominent journals, such as the Journal of Clinical Oncology, Clinical Cancer Research, Lancet, the New England Journal of Medicine, and Nature. 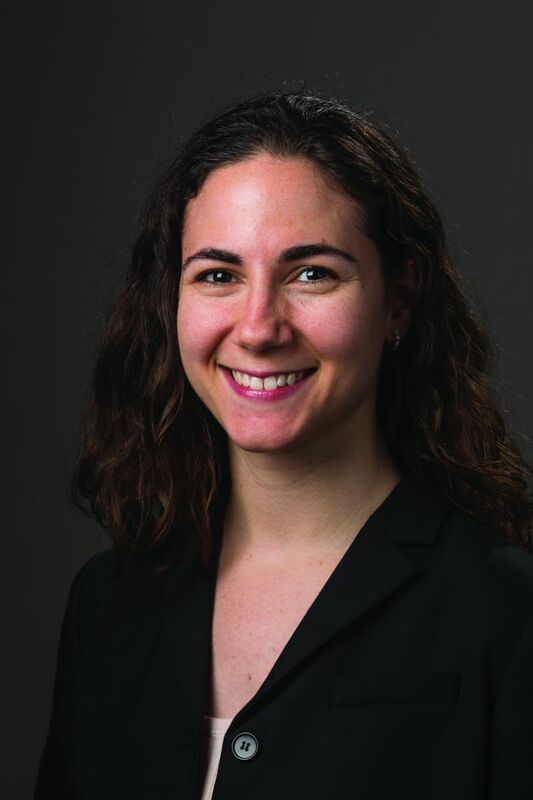 Sarah B. Goldberg, MD, MPH, received her medical degree (MD) from Mount Sinai School of Medicine; completed her internal medicine residency at Massachusetts General Hospital; and completed her fellowship in medical oncology at Dana-Farber Cancer Institute and Massachusetts General Hospital. She also received her master of public health (MPH) in clinical effectiveness from Harvard University. Dr. Goldberg is board certified in internal medicine and medical oncology. She is an Assistant Professor of Medicine in the division of Medical Oncology at the Yale School of Medicine and Yale Cancer Center where she primarily treats patients with thoracic malignancies. Her research interests include personalized medicine and immunotherapy for non-small-cell lung cancer (NSCLC) and identification of biomarkers that predict response to treatment. 1. Utilize biomarkers to guide treatment selection to improve outcomes in patients with NSCLC. 2. Apply efficacy and safety data of new and emerging agents to optimize the treatment of NSCLC. 3. Recognize potential toxicities associated with new and emerging agents for NSCLC and educate patients about possible adverse effects to improve adherence and quality of life. 1. Utilize biomarkers to guide treatment selection to improve outcomes in patients with NSCLC. 2. Apply efficacy and safety data of new and emerging agents to optimize the treatment of NSCLC. Vindico Medical Education designates this enduring material for a maximum of 0.5 AMA PRA Category 1 Credits™. Physicians should claim only the credit commensurate with the extent of their participation in the activity. This enduring material is approved for 1 year from the date of original release, July 21, 2016 to July 20, 2017. In accordance with the Accreditation Council for Continuing Medical Education’s Standards for Commercial Support, all CME providers are required to disclose to the activity audience the relevant financial relationships of the planners, teachers, and authors involved in the development of CME content. An individual has a relevant financial relationship if he or she has a financial relationship in any amount occurring in the last 12 months with a commercial interest whose products or services are discussed in the CME activity content over which the individual has control. Relationship information appears above. Non-small-cell lung cancer (NSCLC) accounts for the majority of lung cancers and is associated with poor survival rates. However, in recent years personalized therapies based on the histologic and molecular characteristics of the tumor have emerged. Although these advances offer the possibility of improved outcomes for patients, they also present challenges to the community oncologist. In this interactive, case-based program, key issues about the treatment of advanced NSCLC will be reviewed. Expert commentaries will augment the case and offer perspectives on the nuances of the real-world treatment of NSCLC. To participate in this CME activity, you must read the objectives, answer the pretest questions, view the content, complete the CME posttest, and complete the evaluation. Provide only one (1) correct answer for each question. A satisfactory score is defined as answering 65% of the posttest questions correctly. Upon receipt of the completed materials, if a satisfactory score on the posttest is achieved, Vindico Medical Education will issue an AMA PRA Category 1 Credit(s)™ Certificate. No part of this publication may be reproduced without written permission from the publisher. The material presented at or in any Vindico Medical Education continuing education activities does not necessarily reflect the views and opinions of Vindico Medical Education. Vindico Medical Education, nor the faculty endorse or recommend any techniques, commercial products, or manufacturers. The faculty/authors may discuss the use of materials and/or products that have not yet been approved by the US Food and Drug Administration. All readers and continuing education participants should verify all information before treating patients or utilizing any product. For downloadable educational resources, visit below. CME Questions? Contact us at: cme@vindicocme.com or 856-994-9400, ext. 504.